Mid Sixties. Good Guitars. Small Necks. If you can live with the narrow nut and the trap tailpiece, a 66 is a pretty good choice. Vintage pedigree without the sticker shock. I must come off as a little bit of a vintage snob. I pay a lot of attention to the ES line from 58 to 65 but I pretty much ignore the rest of the sixties and that really isn’t fair. Most vintage aficionados draw a line somewhere and I drew mine at the moment they switched from wide nuts to narrow nuts (insert joke here). 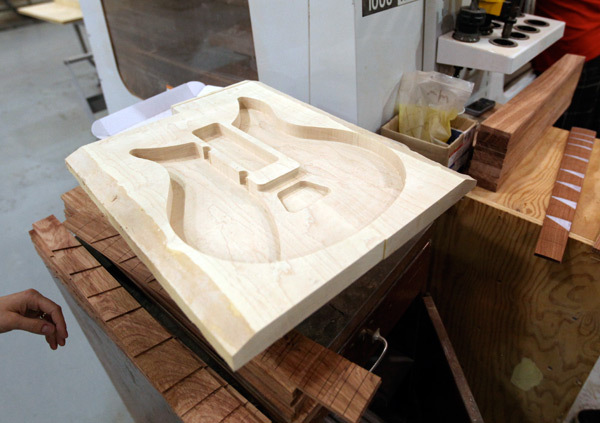 The guitar boom that occurred during the mid 60’s caused some major changes in the guitar industry. In 1959, they sold around 1500 guitars from the ES thin line series. That would include 335’s, 345’s and 355’s. By 1967, that number was closer to 10,000. That huge increase must have caused all kinds of headaches with the corporate suits. You can thank John, Paul, George and Ringo for a lot of that. I was 11 when I first heard The Beatles and I wanted to be a rock star (along with a zillion other kids my age). I couldn’t afford a 335 but that didn’t stop me. I never got there but had a lot of fun trying for about ten years. So, let’s take a look at the mid 60’s in the next few posts and see where the changes occurred and why these years don’t command the big bucks and maybe why they should. And we’ll blow away a myth or two along the way. I’ve owned a bunch of 66’s, so that’s the year we’ll start with. If I had to point out the shortcomings of 66’s, it would be a pretty short list. Narrow nut. End of list. The nut went from 1 11/16″ in early 65 to 1 5/8″ to 1 9/16″ by the early Summer of 65. That’s pretty narrow even for a guy with small hands like me. I find that I’m clumsy and get in my own way on the limited real estate of the lower frets. I simply can’t play them very well. But beyond that, 66’s are not all that different from the well regarded 64’s. They went to the trapeze but (myth buster #1) I don’t find that it makes all that much difference in tone and sustain. You’d think it would but I’ve played lots of 66’s with great sustain and tone. Well, what about the pickups? You can’t really compare a t-top to a PAF can you? Here’s myth buster #2-they didn’t use t-tops in 66-at least not in any of the 66’s I’ve had or inspected. The pickups are pre t-tops which are, essentially, PAFs with poly coated windings. They are different than PAFs and early patents but they are very good pickups. I find them a little brighter and a little more tame than a PAF but still a really good sounding pickup. However, if you’re buying a 345 or 355, you still have a shot at a set of early patents which are the same as a late PAF. Early patents are not common on gold hardware guitars by 66 but they are out there. The quality of mid 60’s ES models suffered during the mid 60’s almost certainly because of the wildly increased sales volume. I’m sure the pressure to crank out more guitars in less time was intense and when that happens, quality is the loser. But 66’s are generally good as far as fit and finish are concerned. 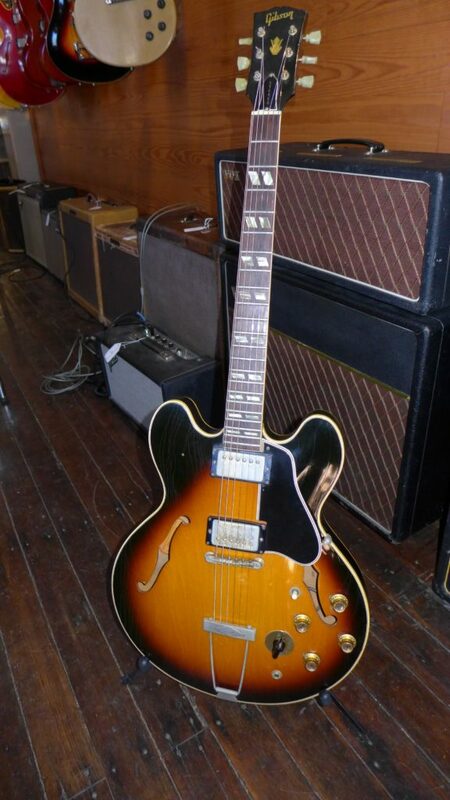 To me, a 66 is very close to a “Golden Era” 335 for less than half the price. 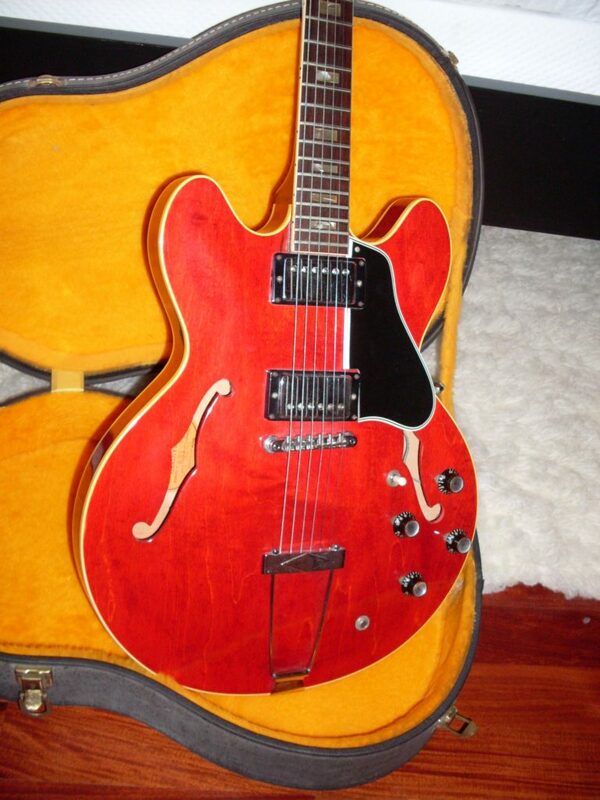 I had a 66 ES-345 a few years ago that I would put up against any year except maybe an early 59. 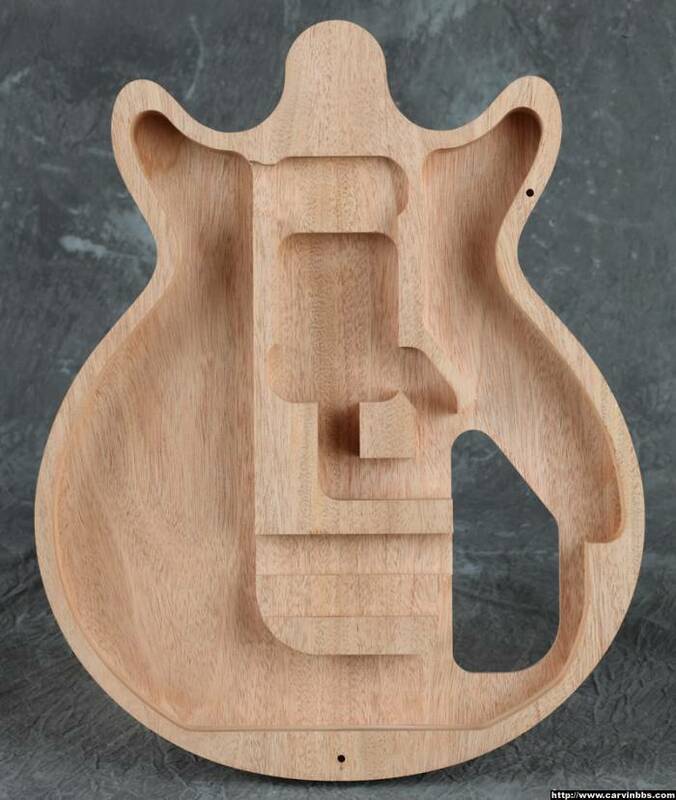 It was a monster guitar. The 66 still has a lot of the same components of the earlier ones. The nickel had changed to chrome on 335’s by late 65 but the 66 was the last year for the wide bevel guard, the reflector knobs and Brazilian rosewood fingerboards. I think that if Gibson had kept the wider nut and the beefier neck (66’s are pretty thin front to back-like a 61), the prices would be a lot higher. Just look at early 65’s. A big neck 65 is pretty close to a 66 except for the neck profile. And yet, the price of the 65 is 50% more on average. So, I consider the 66’s a bargain. You can pick up a ’66 345 for about the same price as a new high end 335. You can always take off the trapeze and do a stop tail conversion. I find that if its done right, it doesn’t diminish the value significantly, if at all. There are always buyers for stop tails (done right by somebody else). 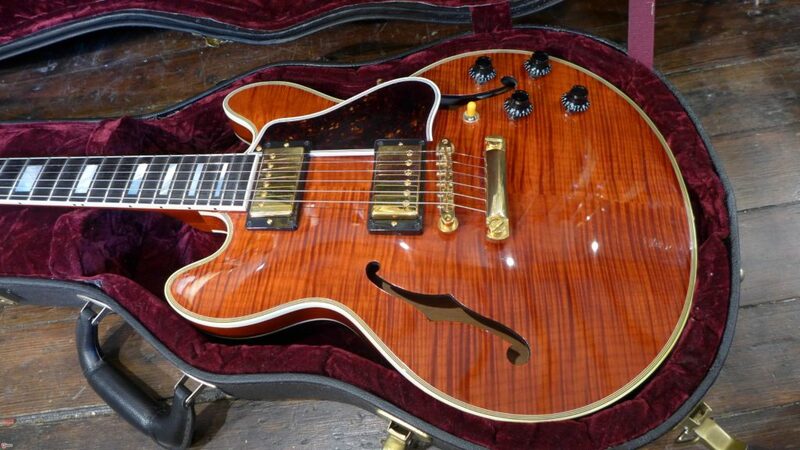 And, much as I like some of the newer 335’s, I’d still rather have a 66 even with that narrow nut. This 66 345 was pretty unusual. Full Mickey Mouse ears and early patents made it look and sound like an earlier one. Keep your eyes open, there are some excellent mid 60’s guitars out there for less than you might pay for a new one.